Two months ago, my wife and I were part of our tour group (consisting of my High School classmates from the USA) that visited the Sumaguing Caves in Sagada, Philippines. Although I was not able to join my wife and the group in the adventure due to an aching shoulder, yet her testimony shouts wonders for the cave. Aptly called as the Big Cave, it is perhaps the most popular and frequently visited cave in the island of Luzon. 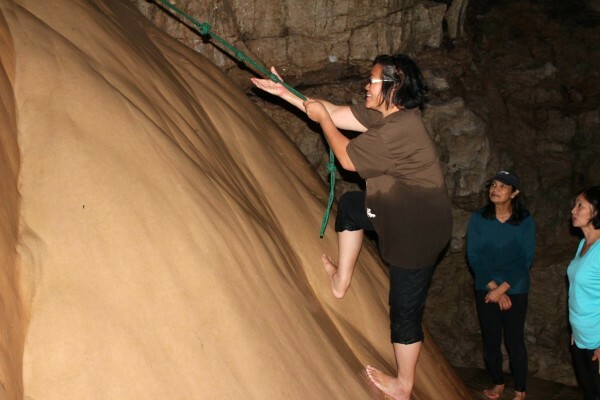 Sumaguing Cave has the largest chamber of all connecting caves in town (there are more than 60 known caves underneath Sagada). One needs to trek down a slippery trail from its mouth to see the magnificent formations of stalactites and stalagmites that took thousands of years to shape. Perhaps even millions of years, the formations were carefully sculpted by nature itself to form contours that were given fancy names such as king and queen’s curtains, giant fudge, pregnant woman, Mickey mouse, alligator, dancing hall and rice terraces. Inside are underground streams and natural pools with water temperature near freezing point. Deep things are intriguing. Deep jungles. Deep water. And yes, deep caves and canyons. And so do deep thoughts and conversations. That includes relationships, too. There is nothing like depth to make us dissatisfied with the superficial, shallow things. Once we have delved below the surface and had a taste of the marvels and mysteries of the deep, we realize the value of taking the time and going to the trouble of plumbing those depths. Clearly, our Lord operates in realms far beyond our ability to comprehend, but He longs for us to explore and experience that which is beyond the obvious. The Bible even says that Jesus comes knocking at the door and if we welcome him, he will enter, sit down and have a meal with us. Now, that is intimacy! This is not just knowing Jesus is our Savior. It is about an ongoing relationship that can be deeper and more intimate. God is patient and gracious. He waits to reveal insights and dimensions of truth to those who care enough to ponder and meditate. Of course, we understand that Paul knew Jesus. We read that in his letters. Yet, his passion and desire for the remainder of his life is to know Jesus. One wonders why is that. There must be something about Jesus that is deep and beyond the casual public declaration that He is our savior. It seems that getting to know Jesus is so much more valuable than most endeavors in life. 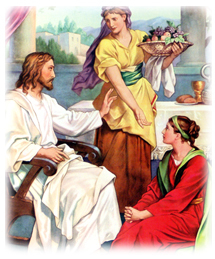 Remember Mary and Martha? Jesus praised Mary for choosing to sit by Jesus and listen. No one says Martha did badly. It is just that Mary’s choice of intimacy and longing for Jesus is better. Are you tired and weary of superficial things? Are you tired of foolish talk and shallow thinking? Do you think there has to be more? Perhaps you are not sure how to get there? Yet, you are sure you don’t want to stay where you are. The answer lies in what the apostle Paul wrote. Although he has spent many years serving the church and preaching the gospel of Jesus, yet Paul says that what is most important is “to know Him.” We all need intimacy with the Almighty. This is not just some kind of intellectual assent about the existence of God. It is intimate relationship. We want to be profoundly aware of his presence, in touch with Him at the deepest possible level, and living close to his heart as humanly possible. It is having him as the object of our affection as we are genuinely the object of his in the first place. Could anything be more important for a child of God? I don’t think so. Yet, it is very sad, so few people pursue this important priority in life. People pursue all the wrong things and these pursuits leave them empty inside. They drink but always stay thirsty. They eat but stay hungry. Psalms 42:1-2 “As the deer pants for the water brooks, so my soul pants for Thee, O God. My soul thirsts for God, for the living God.” This tells us that there is nothing – absolutely nothing – of greater importance than knowing Christ intensely and intimately. I highly suggest that we consider this as signal to rethink our philosophy of life. Should we not spend less energy and time pursuing all the human accomplishments and spend more time and energy cultivating an intimate relationship with Jesus Christ? Doesn’t the Bible teach us that WHO to know is life eternal? (John 17:3). In part 2 of this article, let us continue going deeper in our knowing Jesus Christ, our Lord and savior.